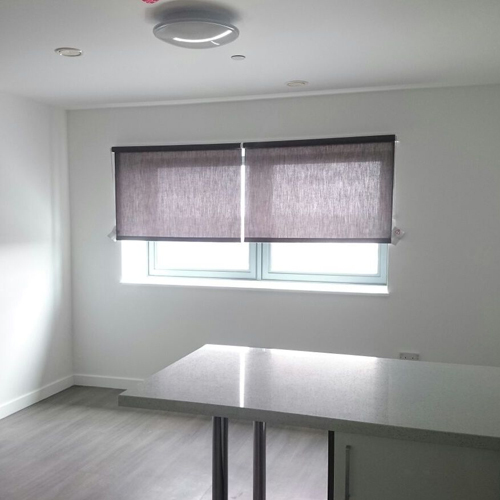 As a rapidly growing sector of the construction industry, the shading requirements for student accommodation are becoming more sophisticated as the sector evolves. 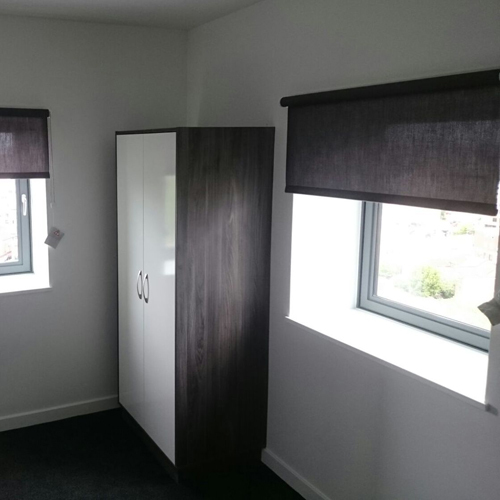 Blinds and curtains need to be robust and easy to use, low maintenance at the same time as providing adequate room darkening and privacy. 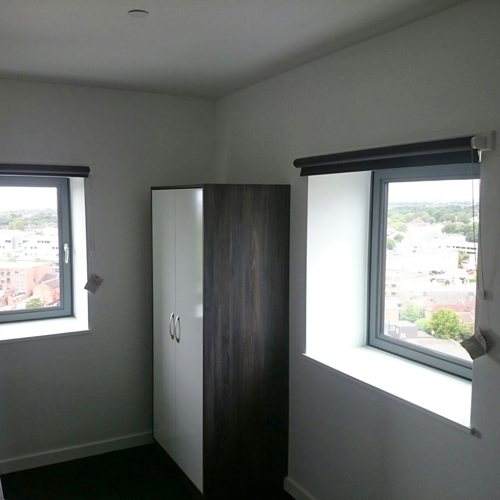 The correct choice of window furnishing is important for your project as it can help create both long-term and short-term success for students as the environment in which a student sleeps and relaxes has an effect on their academic performance. 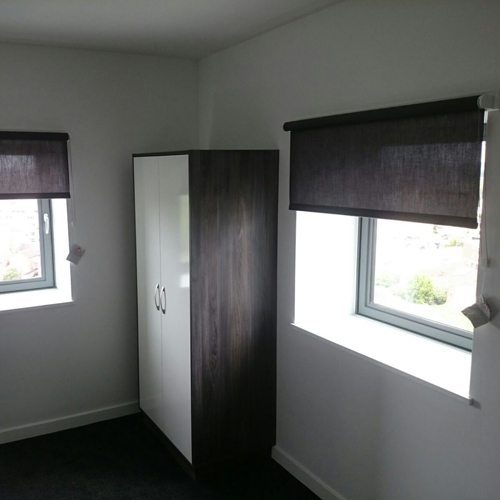 Having long been the window covering of choice, roller and vertical blinds are quick to install and the mechanism is simple and is easy to maintain and, if necessary, to replace. 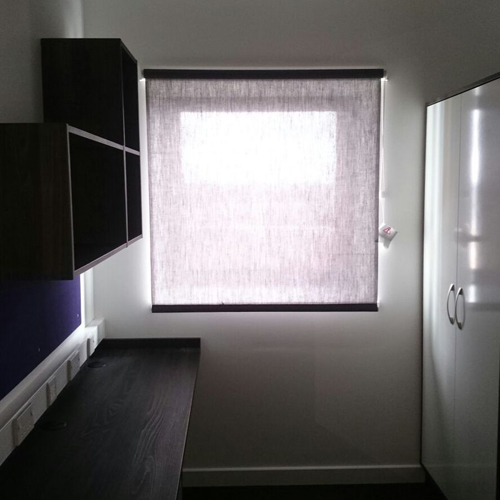 All fabric choices offered for Student Accommodation will be FR rated, easy to clean and come in a variety of colours to complement the chosen décor. Blinds with a blackout will also provide both room darkening and privacy. 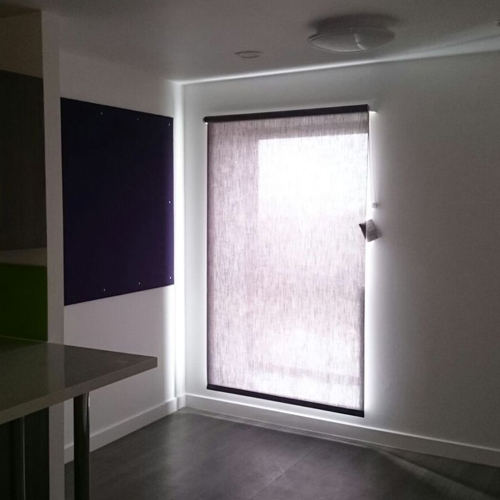 Roller and vertical blinds are a very cost effective way of providing window shading which responds to all the student’s needs. With a greater aesthetic appeal, curtains create a soft ‘homely’ ambiance to a room. Curtains should always be at least a dim-out fabric and if not, be made with a blackout lining. With a vast variety of FR rated fabrics in our contract range, we can offer plain fabrics in a wide range of colours, through to patterned fabrics for a more sophisticated feel. Above images are of Liberty Point Southampton, we installed 328 roller blinds, 6 venetian blinds & 1 curtain track with blackout curtain.